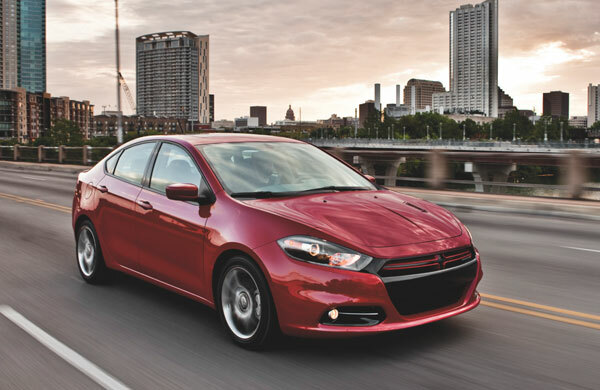 When the 2013 Dodge Dart was first released to the Insurance Institute for Highway Safety (IIHS), it earned the best possible score of Top Safety Pick. Since that first test, IIHS has revamped the safety test for cars and changed the rating system. That didn’t stop the 2013 Dart, however; it still managed to earn the top rating, which is now Top Safety Pick+, following updated testing. The 2013 Dodge Dart achieved “good” score marks in tests that evaluate a car’s performance in rollover, rear, side, and moderate-overlap frontal crashes. Additionally, the new Dart earned a 5-star overall rating, the highest possible honor, from the National Highway Traffic Safety Administration. The 2013 Dart is not new to earning awards. The sports car has earned several including Editors’ Choice at the 2012 NAIAS and Compact Car of Texas 2012. It has also been named one of the best cars for teen drivers and one of the 10 Coolest New Cars Under $18,000 from Kelley Blue Book. Next Next post: Join us for the 2013 Lehigh Valley Hunting and Fishing Extravaganza!